From 1894 to 1984, the Jordan School played an important part in the life of Suffolk Virginia. The founders -Joseph H. Jordan (1842-1901) and Joseph E. Jordan (1863 - 1929) . (no relation between the Jordans) were Universalist ministers and members of the community. The local Universalist Church in Suffolk ended not too long after the death of the second Rev. Jordan, but the school and it's service lasted. The Jordan Neighborhood School was one of the missions of the Universalist Church (others included Schools and Churches in Japan, the Clara Barton Birthplace, and the Churches of North Carolina). 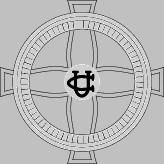 This support continued after merger into the Unitarian Universalist Association. In 1969, both changing views of missions (from long term to short term help) and the near financial bankruptcy of the UUA led the UUA to stop funding the programs there. The importance of the reunion in the Fall of 2009 - is to show the lasting impact of the school and mission to the people and the community. While this reunion is in one way a typical High School Reunion, it is in another way, a salute to two Universalist ministers who made a difference.